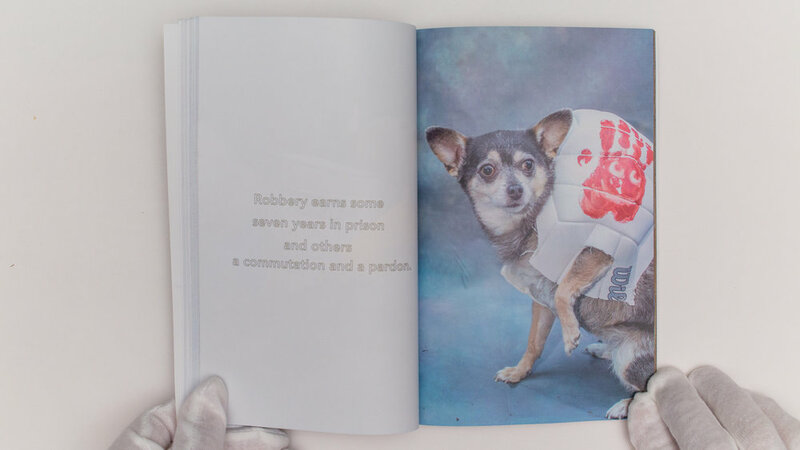 holmBred merges a photo series of dogs in costumes with aphorisms pertaining to the application of Stockholm syndrome as a legal defense. The usual suspects, Patty Hearst, police officers, biographers and psychologists weigh in on the legitimacy of the syndrome while the printed words approach a closer relevance to the tradition of dog ownership. 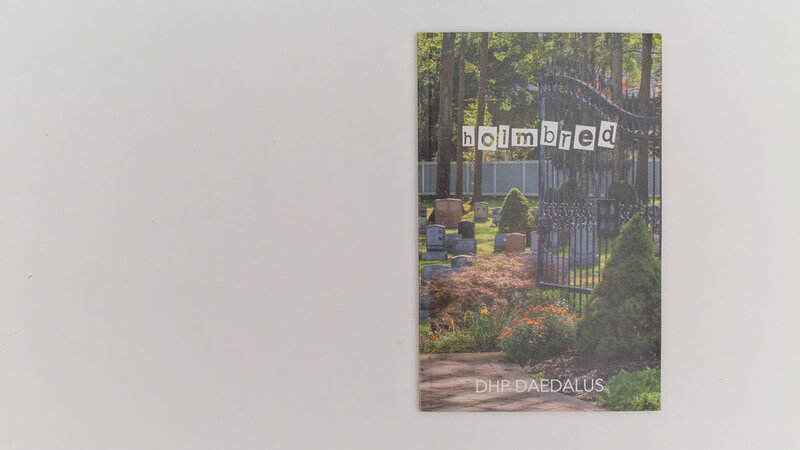 A discursive essay by the artist finish the book.